This past Saturday Iceland offered the world an opportunity to witness a civic spectacle when it held its quadrennial election. 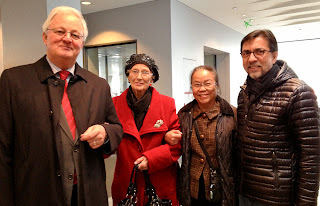 Mary and I went to Reykjavik City Hall where I ran into several friends with members of their families of all ages ready to exercise a right that unfortunately many people in other parts of the world do not enjoy: having a say in their governance. The mood was festive with many voters wearing their Sunday best—a reflection of the respect that Icelanders have for democracy. Pundits and columnists will interpret and parse the results many different ways in the days to come but the one thing I suspect all agree on is that democracy is thriving in Iceland and that is a lesson that should not be lost. 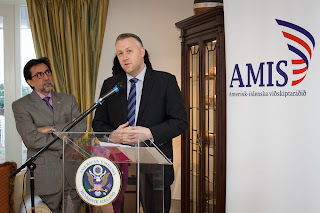 Mary and I joined a group of Embassy colleagues and friends who happily participated in Open Days at Ásbrú--a fine tradition of welcoming the Icelandic summer with an American twist. 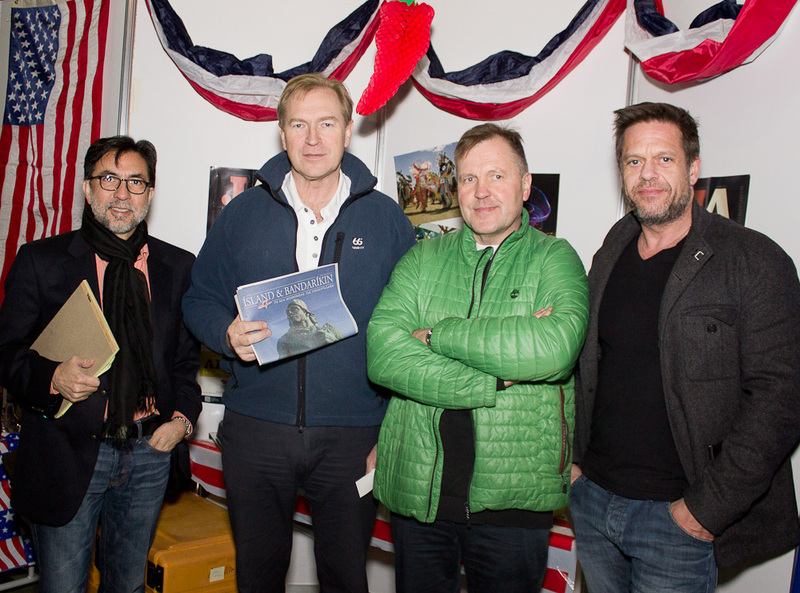 The event originated when our military base opened its doors to Icelanders to share a taste of America. 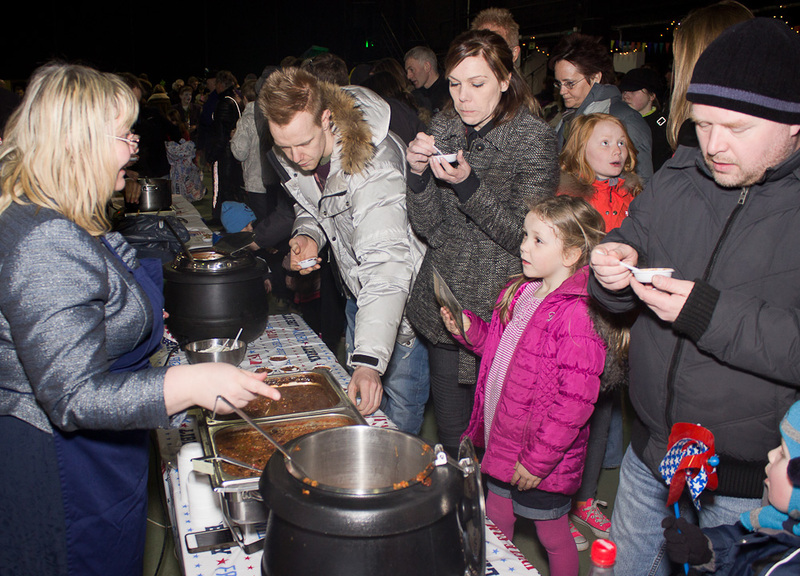 Nowadays, the event brings thousands of Icelanders to a fun day of learning, eating, and plain having fun with rides, live music, exhibits, and even a haunted house. 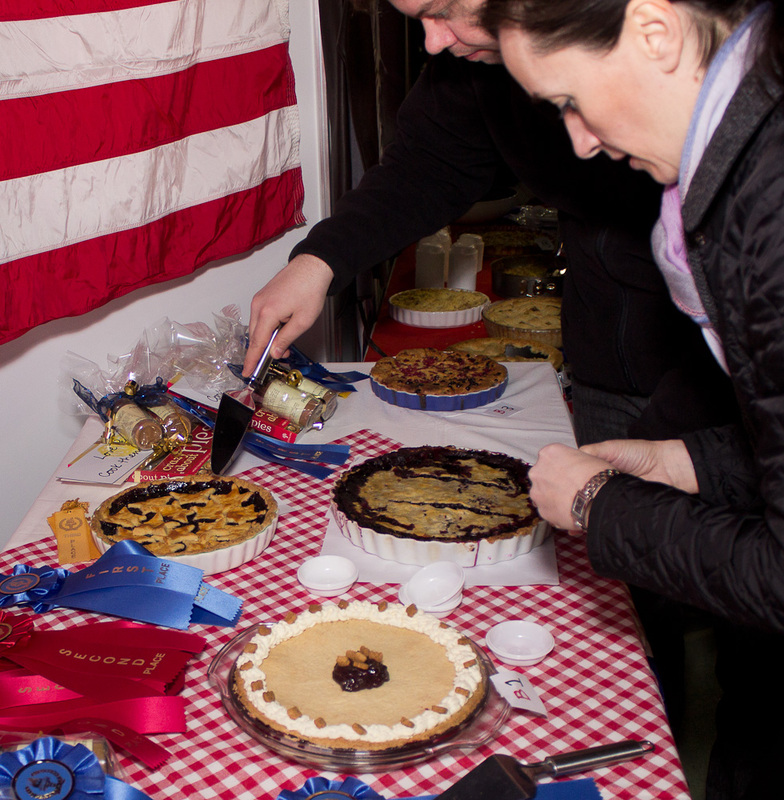 Our Embassy organized a chili cook- off and a pie baking contest. 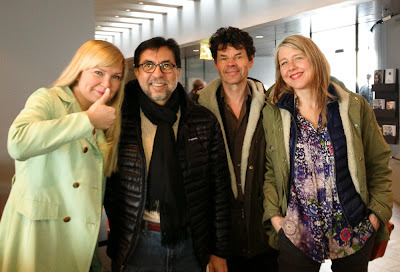 I joined Árni Sigfússon (Mayor of Reykjanesbær), Jói Fel (a famous Icelandic Chef), and Friðrik Sigurðsson (Special judge from Food and Fun) in judging the entries. While it was quite difficult picking the winners after trying fifteen pie and seven chili entries, we were amazed at the range of tastes and textures of the participating entries. Congratulations to the winners and all the participants. 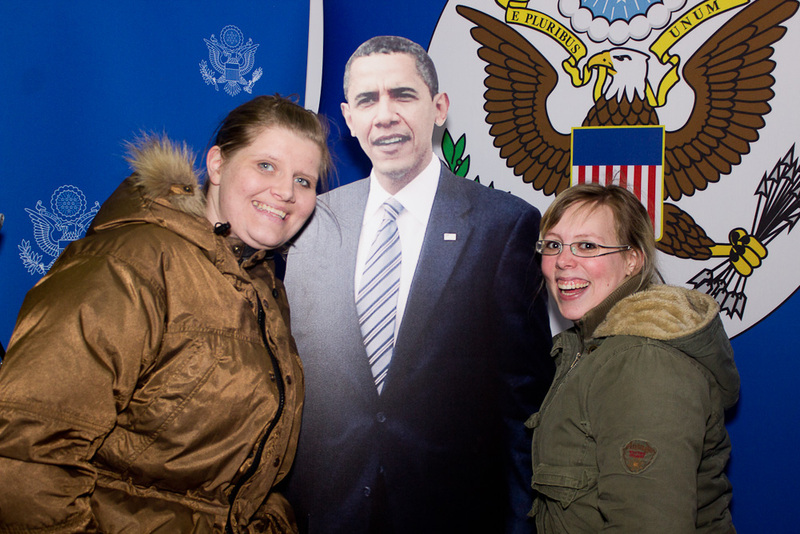 We were also very pleased to see the line-up of participants who wanted to have their pictures taken with President Obama. Icelandic and American culture make a very nice match. 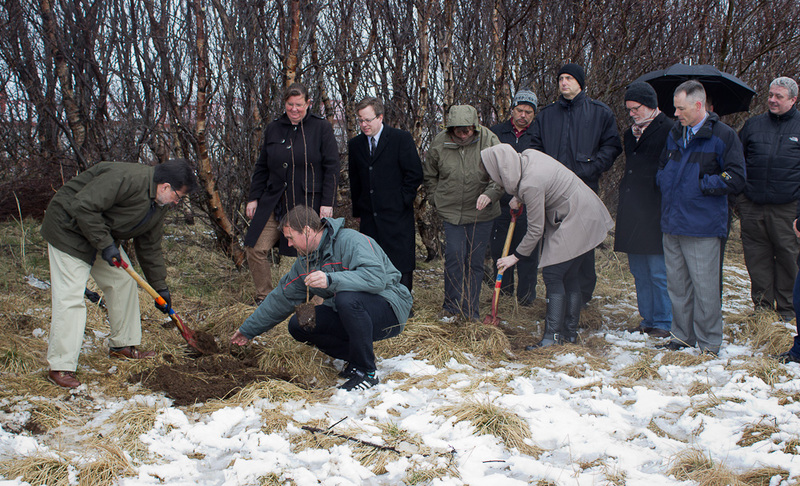 A group of colleagues from the Embassy got together and trekked to the Open Air Folk Museum (Árbæjarsafn) in Reykjavik to celebrate “Earth Day” by following what is becoming a tree planting tradition started by one of my predecessors, Ambassador Marshall Brement. 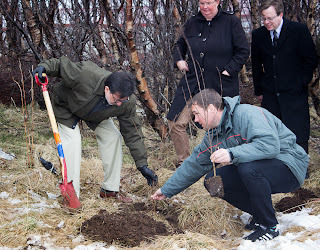 It was great to see the growing “American” forest in the heart of one of Iceland’s most precious exhibits. 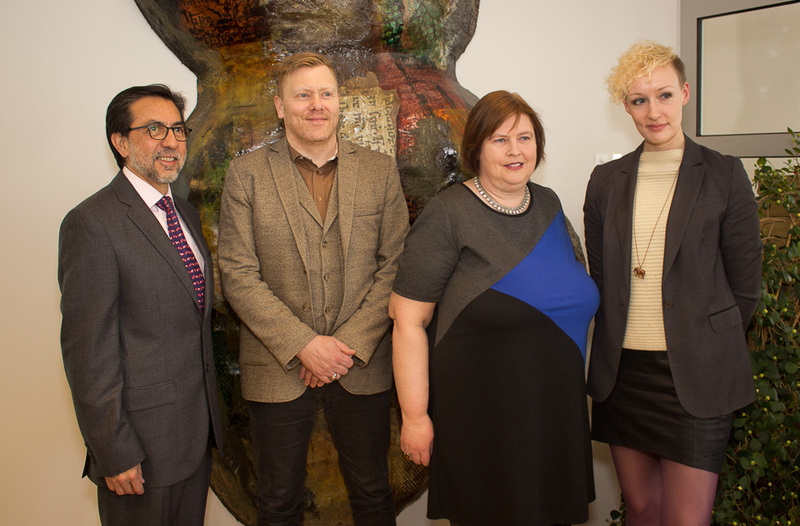 We were delighted that Guðbrandur Benediktsson, Head of Public Programs, and historians Sigurður Ingólfsson and Guðrún Birna Ólafsdóttir joined us for the event. The weather was not most welcoming, but the silver lining is that the rain will help the new trees grow. Special thanks to Gróðrastöðin Mörk for having donated the trees. 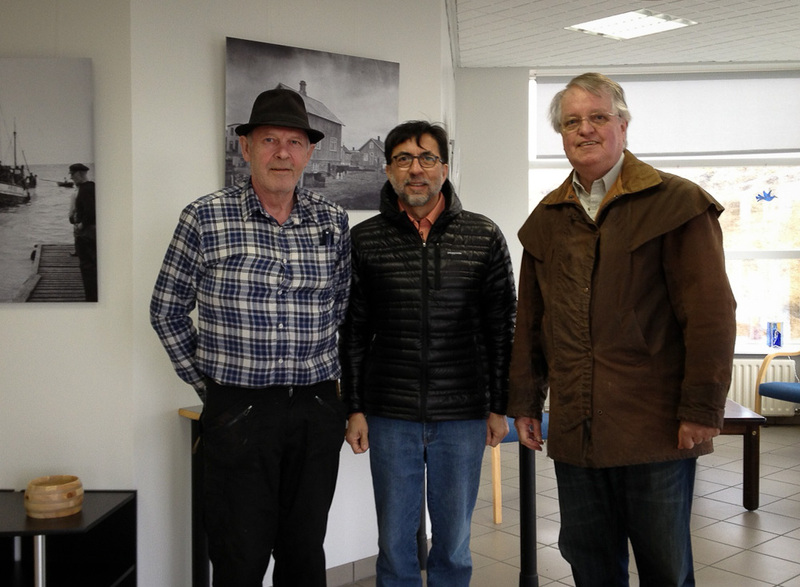 We had the opportunity to visit a friend’s cottage in Eyrarbakki-the oldest trading town in South Iceland. 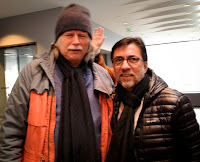 It is said that Bjarni Herjólfsson sailed from the town´s coast to North America in 985, a good 500 years before Christopher Columbus. The town also hosts one of the oldest lumber houses in Iceland also known as ´´Húsið,´´ which now hosts a Folk Museum. The best part of the visit was to meet and chat with some of the local townsfolk who can trace their origins to the town for hundreds of years. 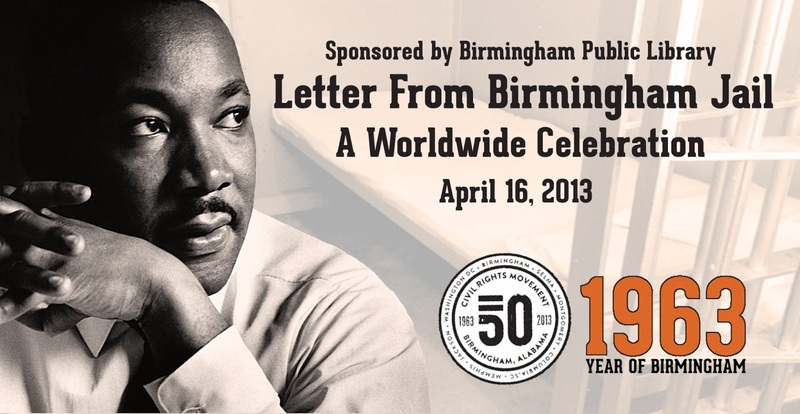 We were honored by an invitation from the City Archives (Borgarskjalasafn Reykjavíkur) commemorating the 50th anniversary of the time when Dr. Martin Luther King, Jr. wrote letters while he was in jail in the City of Birmingham, Alabama. The letters were written in response to an open letter by several clergymen urging Dr. King to stop his protests and to seek redress through the courts. 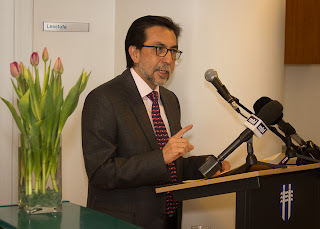 Reading and listening to the readings gave participants a glimpse into the thinking of a great man whose vision and leadership launched the civil rights movement in the United States. It was also an opportunity to reflect on Dr. King’s legacy to humanity. 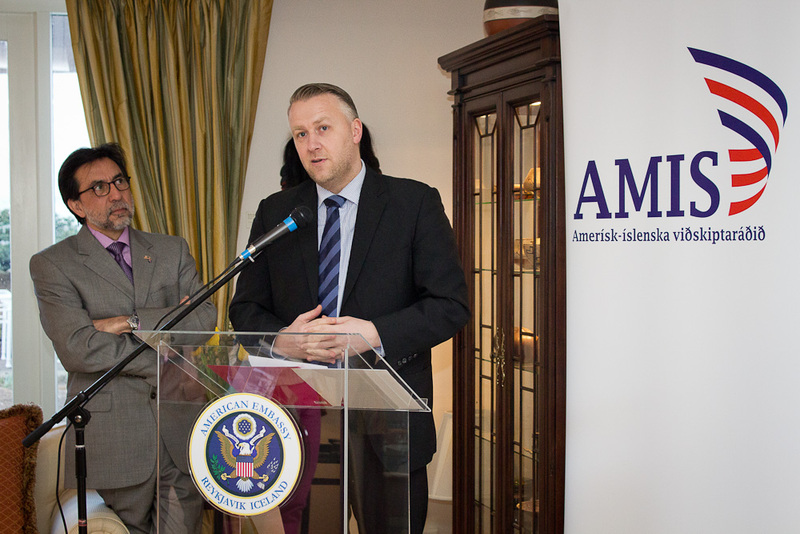 April was a great month for building and strengthening educational ties between Iceland and the United States. 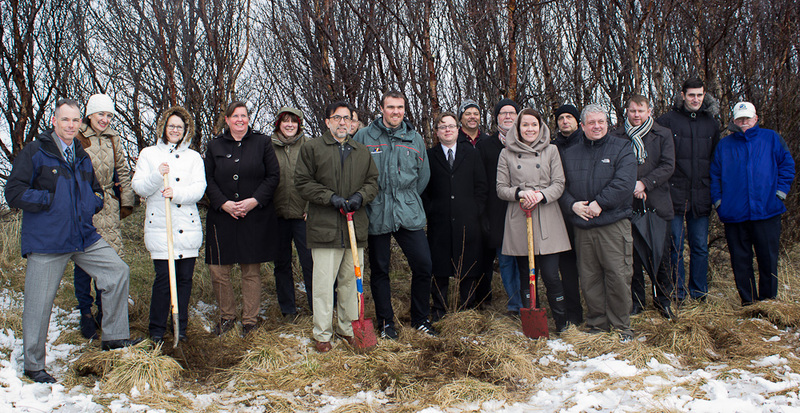 We welcomed representatives from 17 American colleges and universities who came to introduce Icelandic students to the broad range of educational opportunities in the United States. I am proud to say that among them was the University of Wisconsin-Milwaukee—my Alma Mater. 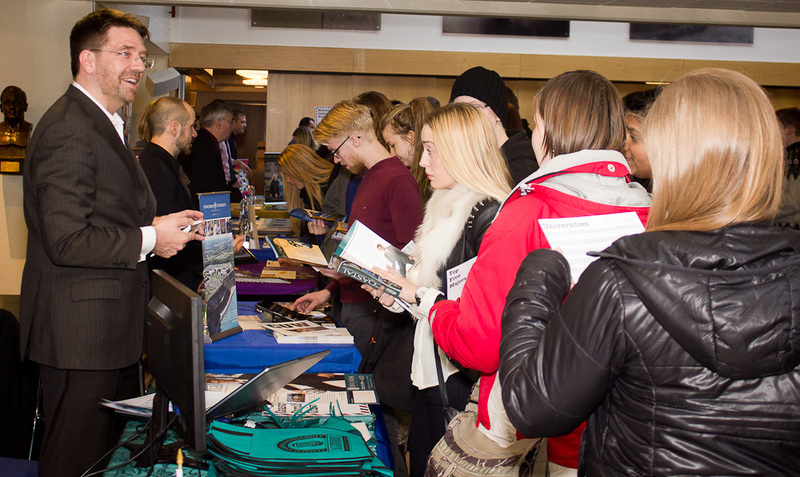 The schools held an event at the Commercial College (Verslunnarskólinn) where several hundred high school and university students attended information sessions and asked many questions about the schools. At the end of the day, every participant from the United States told me how impressed they were with the quality of the Icelandic students and their interest in the United States. I also had the opportunity to meet a group of MBA students from the Harvard Business School who were visiting Iceland to explore its accomplishments in the renewable energy field. We met during a briefing by Carbon Recycling International-a world leader in the production of renewable methanol from carbon dioxide. During my spare time this past week I had a chance to experience two of the most enjoyable Icelandic pastimes. 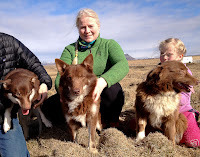 It began with a weekend visit to the farm near Selfoss where our beloved Icelandic sheepdog Brenna was born. 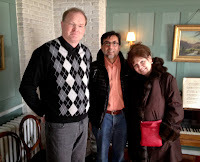 It was a family reunion of sorts and I am told the first time in many, many years, when three brown Icelandic sheepdogs are together. Evidently, the color brown in Icelandic sheepdogs had nearly disappeared. 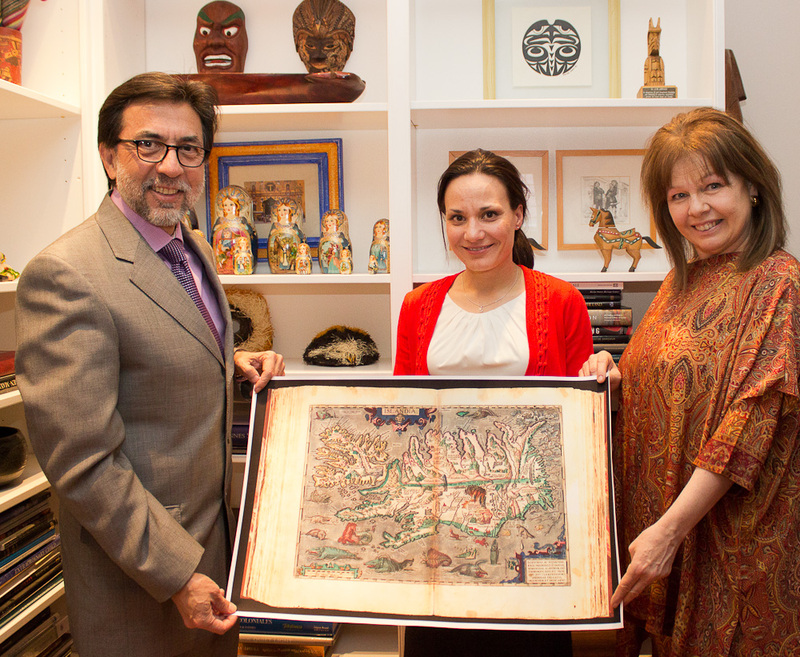 The photo shows Brenna, her mother Njála, and her stepfather Kersins Undramundur. 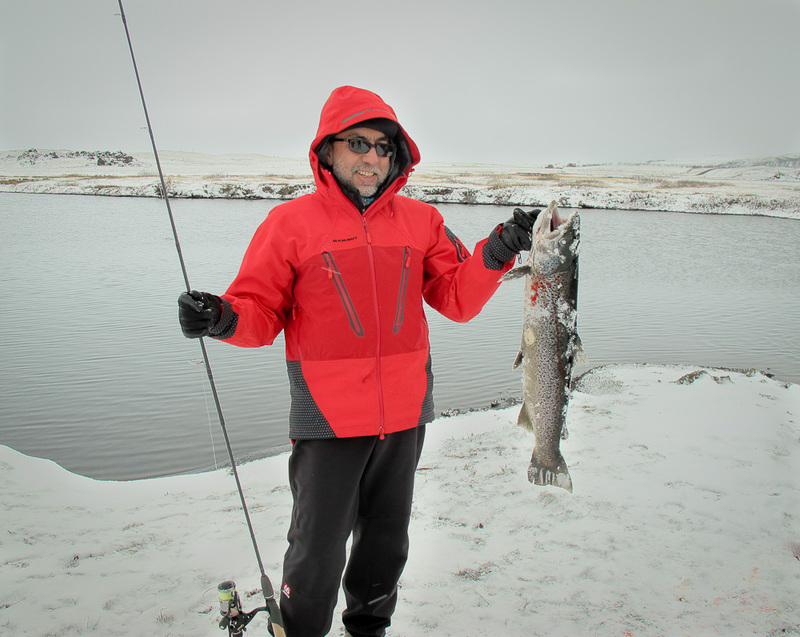 The other Icelandic pastime that is impossible to get enough of is fishing. A colleague and I went to the Tungulækur river to try our luck at fishing. Getting out in the open with the majestic Vatnajokull glacier in the background, swinging your fishing rod in freezing weather (it was easily -2 C), and catching a magnificent sea trout can only happen in Iceland. It was a nearly religious experience. About a year ago, I learned that Iceland was one of the locations where the futuristic film “Oblivion” would be filmed in the summer. Under a pretty tight shroud of secrecy, I visited one of the filming locations where a crew was building an amazing set in the Icelandic mountains near the road to Sprengisandur. It was a desolate yet beautiful landscape and certainly an unlikely place to find the remains of a world renowned landmark, but this is Hollywood and the movie is about a cataclysmic war on planet earth. 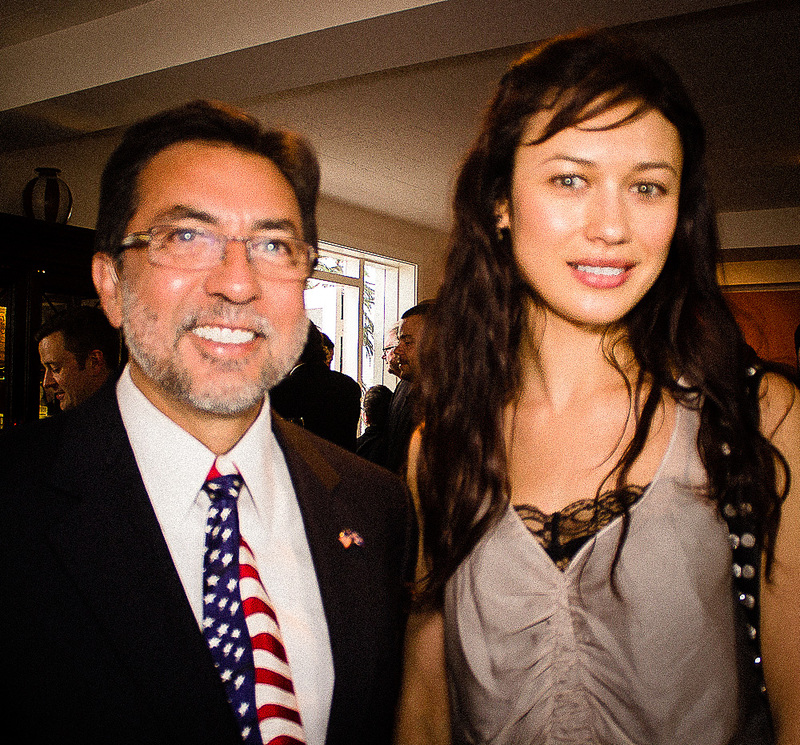 Later in the summer, we had a good number of actors and members of the crew attend our 4th of July reception to celebrate our independence. 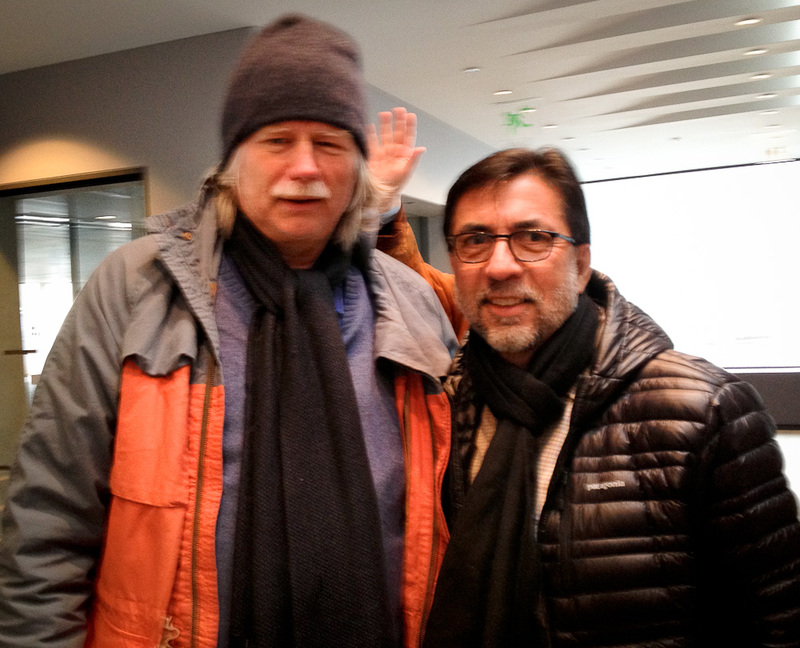 It was great to meet them and to learn about the magic that Hollywood creates. 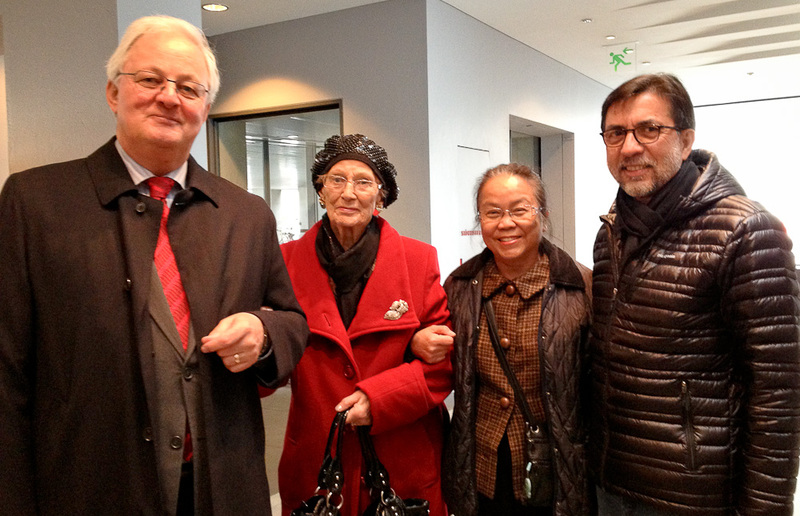 I had the pleasure of attending the opening of the exhibit “From a Culture of Violence to a Culture of Peace" organized by the Icelandic Chapter of Soka Gakkai International (SGI)—a Buddhist organization with over 12 million lay members worldwide. SGI is dedicated to the abolition of nuclear weapons, the promotion of peace, culture, and education. We were honored to be invited and very pleased to represent President Obama who is firmly committed to moving towards a nuclear free world. Living in Iceland, one comes to expect to come across many, many individuals fiercely committed to peace and fostering understanding between people. After all, this is where a major summit took place. I might add that the performance by Selma Bjornsdottir was moving and fitting for the occasion. 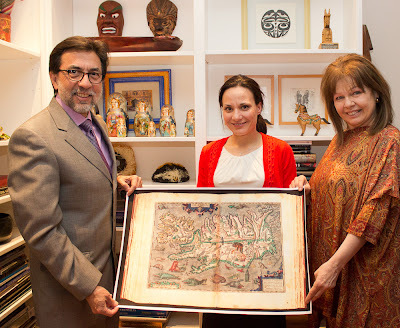 We were delighted to welcome Vanessa to the Residence in her quest to raise funds for the Girls Scouts. She brought 100 lbs (over 45 kg.) worth of Girl Scout cookies to Iceland and sold every box almost immediately. 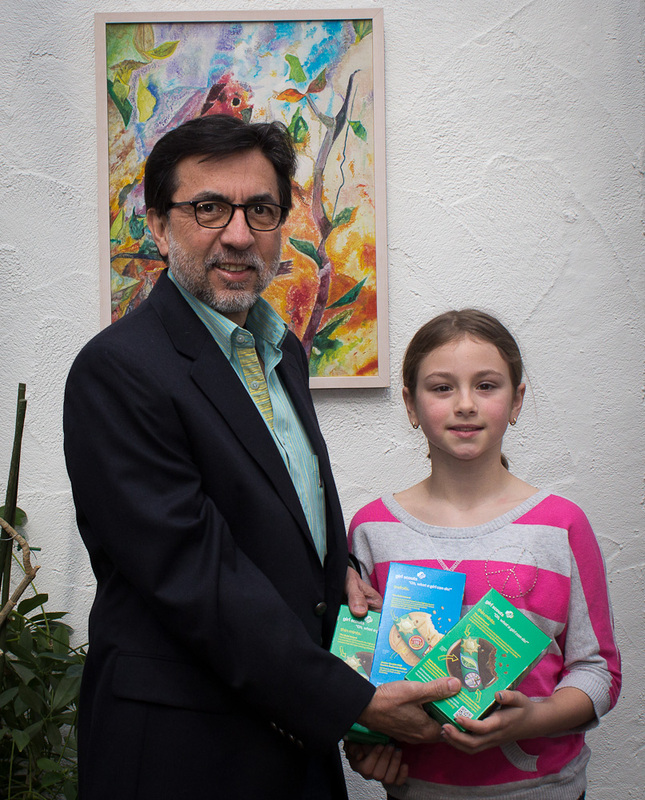 It was great to have the opportunity of participating in a longstanding family tradition of buying Girl Scout cookies each year. Vanessa deserves much credit for her entrepreneurship.